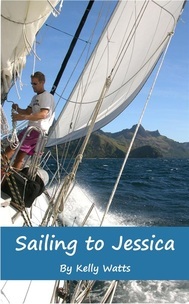 Sailing to Jessica - Paul and Kelly set off to sail around the world, have the sailing adventure of a lifetime - and find Jessica. "...The details of Paul and Kelly's journey will bring the reader aboard the roller coaster ups and downs of the cruising life, the seemingly endless frustrations mitigated by unforgettable friendships, joy and awe that make it all so worthwhile, an experience of a lifetime. Here is an inspirational couple who recognized an opening in their lives and seized a moment leading to the kinds of memories that only a life at sea can bring . . . with the ultimate reward being the realization of the elusive dream that motivated them to leave in the first place - two beautiful children of their own. Thank you for sharing this happy story." Read her full review. "Kelly and Paul had a big, hairy, audacious goal: to have kids. Only they couldn't. So they did the next craziest thing: cruising. (So what if they didn't know how to sail--details, details.) Thrilling and honest, this book recounts their journey from the eastern US across the Pacific. It describes their adventures--good, bad, ugly--and reminds us how abandoning our planned route sometimes takes us exactly where we need to go." "(Kelly's writing shines)... through on every page. She had me from hello. She paints such a vivid picture with her words that I felt a little seasick myself. I lived their adventure–celebrating their successful passages across the ocean and suffering their disappointment with a failed IVF attempt in New Zealand. In short it’s a great read."